Tori Nelson will face off with unified women's super middleweight world titleholder Claressa Shields on Friday. It's about 6:30 p.m. on a frigid January day at UFC Gym, located about 20 miles outside of Washington, D.C. As with most boxing/MMA gyms, it's difficult to hear much over the melodic rhythm of fighters punching and kicking against heavy bags. Added to the sonic clutter are the whirring of treadmills and the clanking of free weights. Then the voice of three-time Golden Glove champion boxer Tori "Sho-Nuff" Nelson rings out, rising above it all. "Man, come on, Pete, I don't want to hurt you. Use the shield." That's Nelson politely correcting her assistant trainer of seven years, Pete Woodson. She's speaking to him loudly and directly, not trash-talking, a communication style the native of Chase City, Virginia, seems to have perfected over the course of her 12-year career. She is concerned about Woodson's well-being and insisting that he trade in his boxing mitts for a punching shield so he doesn't aggravate an injury he has suffered while working his day job. Nelson (17-0-3, 2 KOs) punches the mitt with a left jab, and Woodson pauses. It's not clear whether he's wincing because of his injury or as a result of her powerful hits. Either way, Nelson has had enough. The 5-foot-6½ and 168-pound boxer persuades Woodson to grab the punching shield, and she continues to go to work. The sounds of her punching the shield are jarring. The sheer power of Nelson's strikes is enough to make Woodson, who stands 6-1 and weighs in at about 200 pounds, check his balance. "Wait 'til Claressa feels that pillow puncher," Nelson says. Her eyes twinkle as she mentions her upcoming opponent, two-time Olympic gold medalist Claressa Shields (4-0, 2 KOs). "She ain't ready." 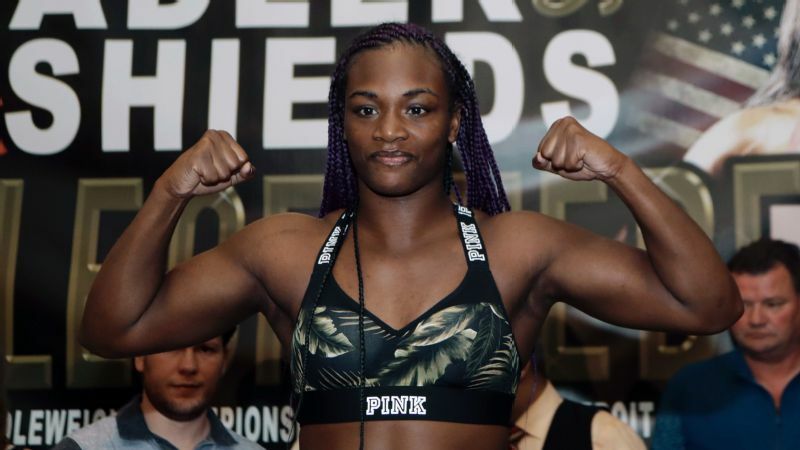 On Friday, Nelson and Shields will face off at Turning Stone Resort Casino in Verona, New York, for arguably one of the most important fights in the history of women's boxing. Two of the sport's undefeated champions will put on a fight for the ages; literally the ages. At 41 years old, Nelson is 19 years older than 22-year-old Shields. But although that age difference might have the sports world concerned, Nelson is unbothered. "People keep asking if I'm worried about the age difference. They need to be asking her if she's worried about fighting someone older and wiser. I'm undefeated, and everyone I've ever fought has been younger than me. Claressa is going to get that booty spanked by a grandma." 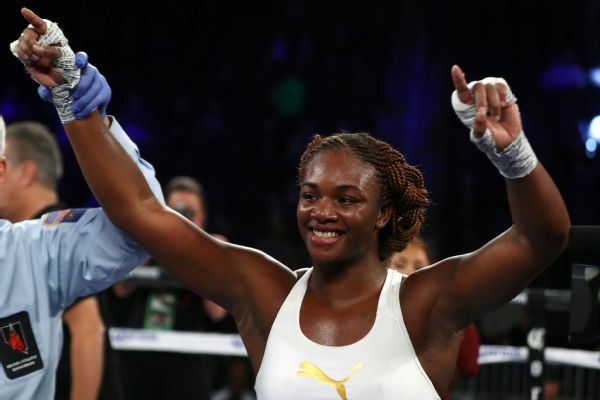 According to a recent interview Shields conducted with WXYZ-TV Detroit, an ABC affiliate, the unified women's super middleweight world champion is not the least bit threatened by Nelson's experience. Noting, "Tori Nelson is an older woman. ... She reminds me of my grandma a little bit. ... I'll give her to the seventh [round] to be respectful." 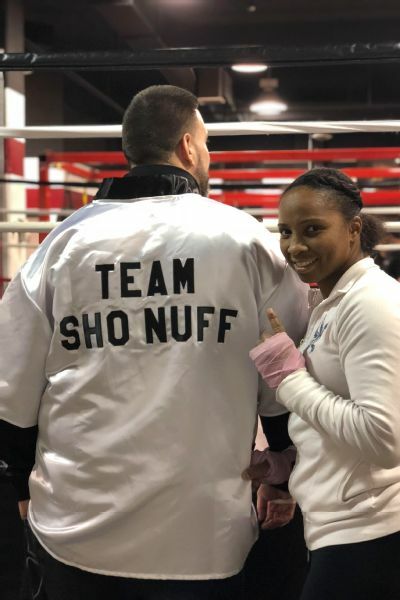 Regardless of Shields' musings, many of Nelson's younger opponents have taken significant beatings by "Sho-Nuff," her boxing alter ego. "Sho-Nuff," a name inspired by the determined martial artist Sho'nuff from the 1985 cult classic film "The Last Dragon" and given to her by her longtime head trainer, Craig Fladager, is quite fitting for the energetic boxer who originally stepped into the ring to lose weight and get in shape. She quickly learned that she was a natural fighter. "I have a power that I was just born with," Nelson adds. "I was an athlete in school -- played basketball, softball and ran track -- and I think that contributes to my success. I'm also the youngest in the family with three older brothers, so, in a way, I've always been fighting." Nelson will be relying on that natural power during her fight. Although the veteran is tight-lipped about much of her strategy, she's clear that her training team has fully prepared her to face off against Shields. "I box a fighter and fight a boxer. My coaches have been watching all of her fights. My workouts and strategy, as always, will be based on who I am in the ring with. I knock them off their strategy. Make them uncomfortable. I'm going to do the same with her." Nelson has been training an intense six days per week in preparation for the fight. Her grueling schedule consists of ring work, cardio and weights. She eats clean and abstains from alcohol. Such sacrifice of time and what others consider simple pleasures in life has paid off in the ring but, unfortunately, not in her pockets. Although you would think that a 12-time world champion fighter would earn enough income to focus on her craft full time, that's not the case. Nelson gets sponsorships (such as her current one from Title Boxing) and appearance money here and there to supplement her winnings, but it really isn't enough. To make ends meet, Nelson works as a waitress at casual dining eatery IHOP. Although it might seem like a lot for someone to hold down a full-time job while training as a full-time professional boxer, that's child's play for Nelson, who has had to juggle much more. Will Tori Nelson and Team "Sho-Nuff" remain undefeated? "There was a time when I was a single mother with two [young] kids, working three jobs and boxing. I was a bus driver, worked in a cafeteria and at IHOP. I'd be up at 5:30 a.m. and wouldn't finish until 10 p.m. some nights." Although she sometimes wishes that her now-adult children hadn't had to do their homework in the gym, Nelson regrets none of the sacrifices or the long hours. And neither do her children, "Q," 22, and Simone, 19. "They're proud of what I've been able to accomplish, and so am I." Nelson credits her faith in God for her ability to be successful in spite of the hardships. "God has brought me through it. Without Jesus in me and God in front of me, I wouldn't be where I am. I'm fighting with faith." Her faith has guided her to fight the good fight with a saintlike level of patience. She's patient and consistent with a training regimen that requires her to spar with men and spend countless hours perfecting her form. She's also patient when it comes to getting the well-deserved recognition that has eluded her. And she's patient when it comes to earning the money she deserves as a top professional boxer. Nelson's team thinks she deserves the spotlight and monetary recognition now. "I tell people all the time that Tori Nelson is my favorite boxer," Woodson says. "I see all of her sacrifices and all of her hard work, so it really burns me up to see others get the recognition when I know they don't work half as hard and haven't given up nearly half of what she has." Rather than feed into the calls for praise and more money, Nelson tries to calm Woodson down. "My time will come. I have no problem waiting." But, maybe, just maybe, that time is now. "Yeah, women's fights are the best," Woodson adds. "Men, we're scared to let our 'zero' go. The fear of losing that undefeated status hinders men from going all out. Women don't have the same egos or attachment to the 'zero,' so they get in the ring and let it all out." 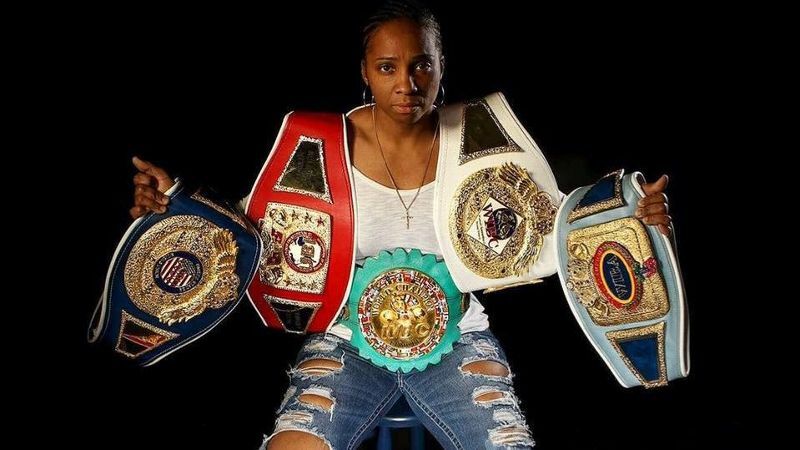 Nelson agrees about the fearlessness of women boxers but is confident about maintaining her undefeated status when she exits the ring after her fight with Shields in central New York. "Somebody's going to lose their 'zero,' and it ain't gonna be me!" The Shields vs. Nelson fight will headline the "ShoBox: The New Generation" card on Showtime (Friday, 10 p.m. ET/PT).